Many Unison Research customers have expressed the wish for an all-tube pure class-A power amplifier with a power output significantly higher than any previous Unison product. In order to satisfy this request, the Unison Research design team has created a single-ended monoblock amplifier able to deliver 80 watts in pure Class-A. This product has become the first in a new line which embodies all our experience in valve amplifier design acquired over the years-the Reference Series. 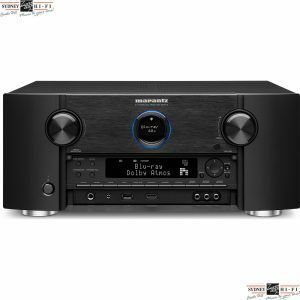 Having completed the power amplifier project, a preamplifier of similar quality and performance was added, and it is fully worthy of inclusion in the Reference Series. We have named it, of course, the Reference PRE. From the outset it was decided to create a circuit without compromise. The Reference PRE has a dual mono layout within a triple chassis to give full separation of the power supply stage from the line and phono stages. Input switching by two-stage relays has been added to eliminate any possible diaphony. The way we have labored over the details, which shows in every aspect of the design and appearance of the Reference PRE, is truly worthy of the finest Unison Research products. To briefly summarize the characteristics of the Reference PRE, the output stage employs one 300B tube and is able to supply an undistorted output voltage of 25V over a bandwidth which extends to above 100kHz. The volume control is a top quality ALPS model from their HQPro Audio Series, a truly excellent unit from a manufacturer that has been preferred by Unison Research from the very beginning. All power supplies are stabilized via isolated high voltage power MOSFET circuits with series stabilization for the output stage and double stabilization in series/parallel for the line and phono stages. Rectification is through Schottky fast diodes and series stabilization for the valve heater circuits (filaments). The whole amplifier uses no less than 18 signal triodes and 2 x 300B power triodes.From the beginning, this project proved to be an interesting challenge to the Unison Research design team, and only after a great number of tests with different configurations was the final circuit topology for the Reference PRE finally eventually chosen. The first parameter to be defined was the structure of the line level amplifier. 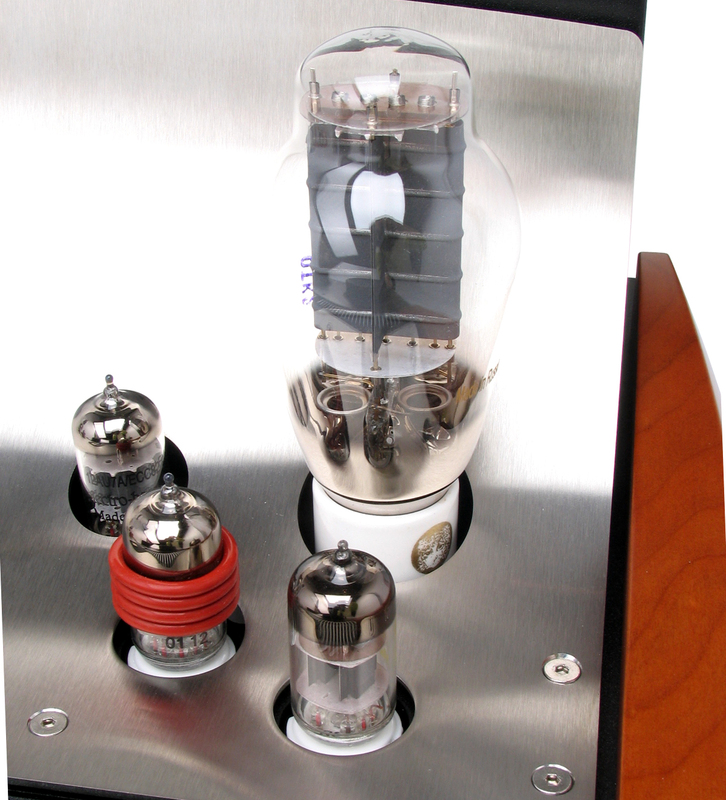 The input stage uses one 6C45P triode, a valve noted for its low noise characteristics. This is followed by a driver stage using a twin triode ECC83. The two triodes are connected in parallel to provide the correct amount of gain for the stage and sufficiently low output impedance for good signal drive to the next stage. The final stage consists of a cathode follower, which allows particularly low output impedance and is realized, as mentioned above, with a 300B, a valve famous for its highly prized performance in audio amplification. 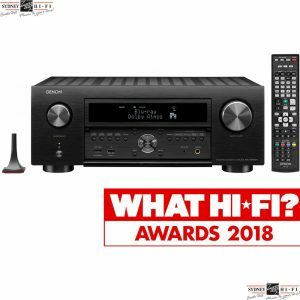 The 300B is well known to the Unison team and has been used with good results in such models as the Smart 300B and the highly original Palladio power amplifiers. In this case the use of the 300B is in the preamplifier output stage, a highly unusual but productive solution. Its use ensures that excellent driving ability and linearity are obtained from the preamplifier.Having decided the structure of the amplifying stage, our next step was to define a suitable power supply stage. The final choice fell upon a first stage with series stabilization for the power stage and a second parallel-type regulation stage for the amplifying stages. The power supply has an energy storage bank of consisting of 4 capacitors in parallel in order to reduce parasitic high frequency impedance in the supply. The filament voltage is also DC and is stabilized with adequate regulators. Rectification is carried out by means of Schottky diodes in a dual-package which provide a much lower level of switching disturbance when compared to normal rectification. This solution is particularly useful in sensitive areas such as the triode cathodes. The decision to adhere to a dual-mono structure naturally required the doubling of the entire power supply system including the use of two independent transformers, which are therefore more than capable of meeting any practical requirement in use. Each transformer is made according to strict Unison Research criteria with no less than 8 independent secondaries. 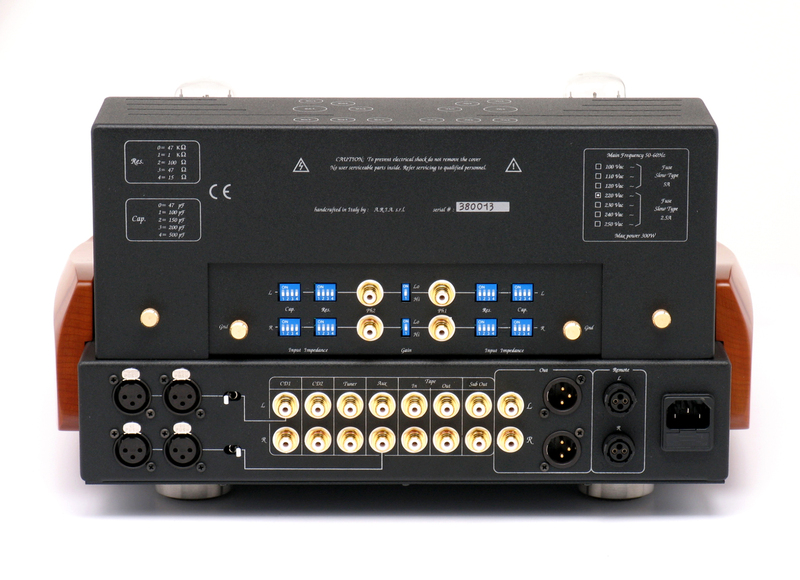 The phono stage, which will be described later, is provided with a two-stage power supply and is fully independent of the power supply provided for the line stage. For this stage, a solution has been adopted which includes secondary windings, rectification circuits and filtering with two-stage stabilization and is completely separate from the rest of the amplifier. Each voltage regulation stage uses one or more power MOSFETS and is able to completely eliminate any residual AC component present in the rectifying circuit in a more effective manner than can be achieved by an inductive filter even of very high value. 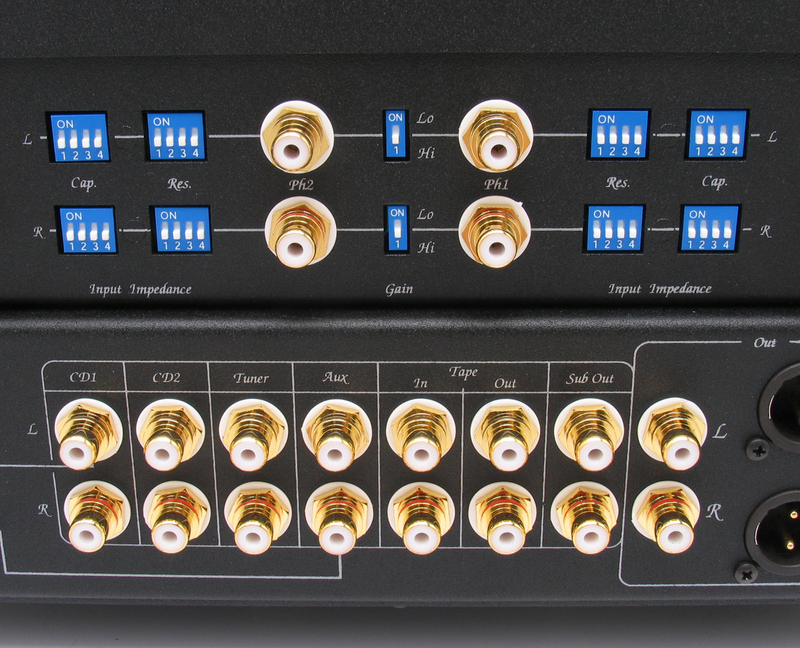 The input and output terminals are RCA phono with a gold-plated contact area to ensure a long and reliable connection. Connection of both inputs and outputs in balanced mode is also possible via transformer coupling. Outputs for both Tape and Subwoofer are provided, the latter signal being taken from the potentiometer for connection to an offboard unit. Both Tape and Sub outputs are buffered by means of a cathode follower stage consisting of a twin triode ECC82. Tape monitor function is also provided, as is Mute function and the possibility to insert a Rumble filter for the phono input. The input switching stage is placed on a circuit housed immediately adjacent to the inputs so as to keep the signal paths to a minimum. It is made up of top quality hermetically-sealed relays with gold contacts to ensure a long and reliable life. Each input is provided with switching of both poles (signal and ground/hot and cold). In this way only the selected source component is electrically connected to the preamplifier, therefore any possibility of cable-related earth loops between different components is eliminated. In the input selection, a two level relay is used which reduces crosstalk practically to a zero value. In fact, unused input lines are switched onto the signal reference ground. 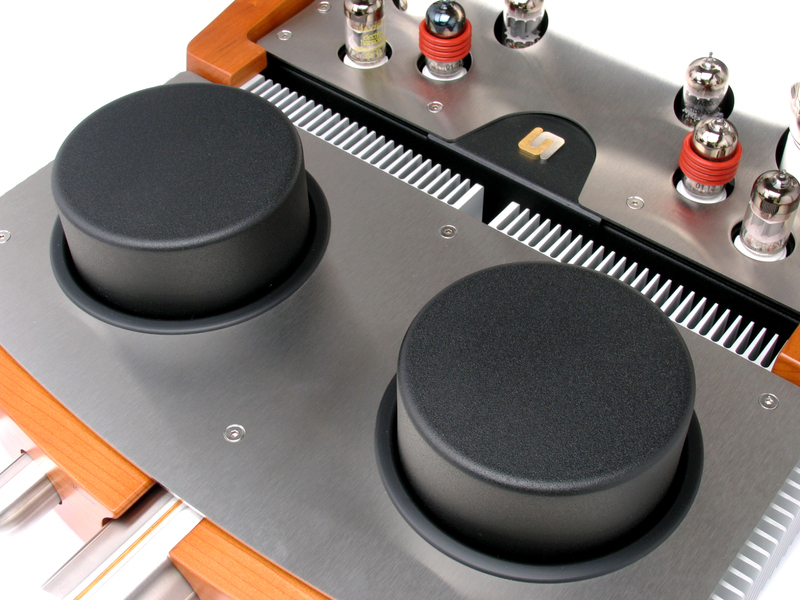 The phono stage is designed to be completely independent from the rest of the preamplifier and is housed in a separate part of the chassis. 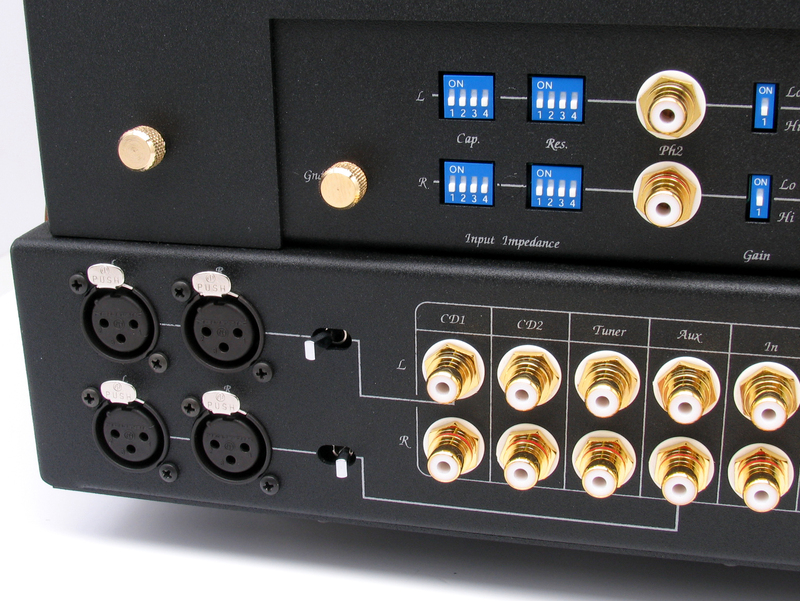 Two inputs are provided, switchable via relays, and the amount of gain can be set independently for each. It is also possible to select input impedance and loading independently for each input, using four nominal resistance and four capacitance values for a total of sixteen possible combinations. 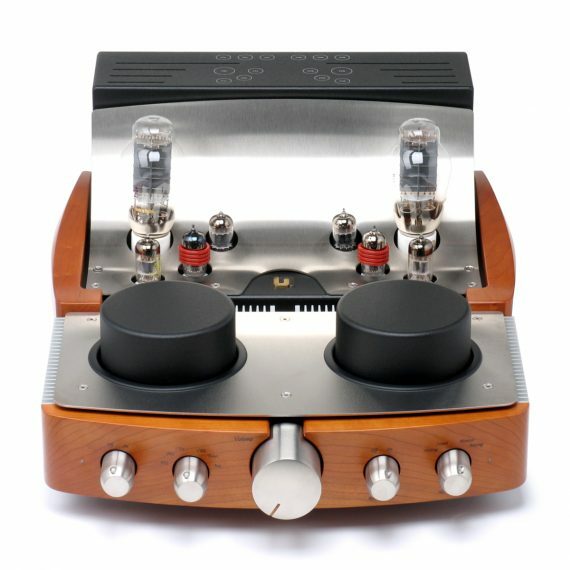 Design of the phono stage is based upon a 6C45P triode followed by a fully passive RIAA filter. The signal then passes to a second triode stage using another 6C45P. As in the line stage, two low noise triodes have been chosen. A further amplification stage using one ECC83 and finally a cathode follower using the second triode of the ECC83 complete the phono stage layout. As mentioned above, anode and filament power supplies are completely separate from the other preamplifier power supply stages. Both supplies are stabilized. In particular, the anode voltage is provided with a double system of stabilization. The first stabilizer, of series type, produces voltage regulated with respect to the signal reference. A second stabilizer, of parallel type, guarantees constant voltage in proximity of the amplifying stage. A suitable impedance placed between the two stabilization stages guarantees that the current flowing between the two stages will be absolutely constant both for the positive side and for the reference connection. This means that closing of the signal current takes place only within the stage without affecting the first stabilization stage. The amplification stage therefore operates as if it was separate from the rest of the circuit, and is therefore not affected by disturbance from it. Many other details have been considered in the development of the Reference PRE. For example, great care has been taken with internal connections to avoid earth loops. Signal connections are soldered rather than using detachable connectors. The chassis is made up of three separate sections, but joined internally. The front section contains the entire power supply system. The middle section contains the line amplification. The upper section houses the phono stage. Each section therefore operates separately from the others, but without the need for problematic external connections which are required when two or more amplifier chasses are physically separated. The chassis is fabricated from heavy gauge metal for a robust mechanical solidity. The external parts, comprised of stainless steel and wood, define the appearance of the Reference Pre and make a strong visual match with the power monoblocks from the same series. But this is more than simply a question of appearance: the chassis cover uses a screen of stainless steel, a non-magnetic material with low thermic conductivity which ensures that the heat from the 300B valves will not affect the circuitry situated below. 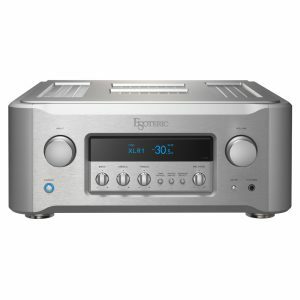 This offers clear benefits in terms of the stability, sound quality and long-term reliability of the whole preamplifier. The solid wooden parts help to limit vibration within the chassis, again with the benefit of greatly reduced microphony of the delicate input stages. This project has been the object of the lavish care and attention which has always been the hallmark of this famous Italian company. The end result is a product worthy of the finest Unison Research tradition, and a new milestone in the story of audio amplification. Power Consumption: 320 W max.